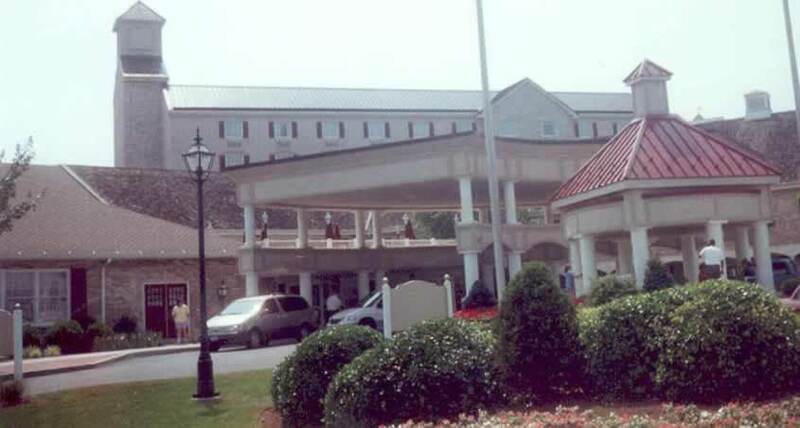 This resort is Pennsylvania's Largest Convention Resort. Its chocolate legacy is displayed by the chocolate themes that decorate its interior and its Pennsylvania Dutch heritage is reflected in its loft ceilings, exposed beams, hand-sewn quilts, and a huge, four-sided fireplace. Hershey Lodge and Convention Center has 665 rooms and three restaurants. Recreational offerings include two outdoor pools, an indoor pool, an 18 hole miniature golf course, a basketball court, a tennis court, volleyball, Bocce ball, Four-Square, fitness center, game room, whirlpool and sauna. Hershey Lodge and Convention Center also has two lounges for adults to relax in.